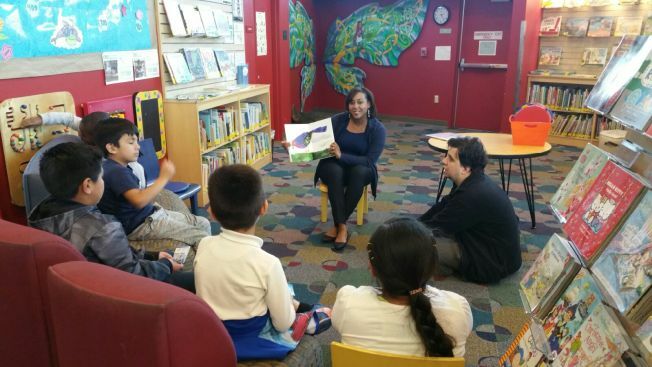 In celebration of Black History Month and Read Across America, NBC’s very own meteorologist Kari Hall was a celebrity guest reader at Joyce Ellington Branch Library. Kari got to read a children’s favorite storytime novel, “Cloud with a chance of meatballs”. This event is part of Silicon Valley Reads 2017, an annual community program that selects books focused on a contemporary theme and offers free events throughout Santa Clara County to engage the public in reading, thinking and discussing the topic. Our goals are to encourage the love of reading and learning and to have a welcoming forum where our diverse community can come together to share different perspectives. This year will be the 15th year for Silicon Valley Reads, and the theme is "justice for all". Raising awareness and sparking new ideas on how we can reduce bias in our legal system and daily life.